We do not sell data about your enquiry to third parties. Polar Bear Windows Ltd complies fully with current Data Protection legislation, giving you peace of mind that any information you share with us will be used appropriately. This policy informs you about the information we may collect from you, how we use it and when, if at all, we will disclose it to others. When you submit a quote/enquiry form on our website, we will ask you for your name, address, contact telephone numbers and email address. Telephone calls into and out of Polar Bear Windows Ltd are recorded in line with GDPR Legislation and to help us with quality and training. Information gathered during a Showroom visit. To enable us to respond to your enquiry, provide the relevant information as requested and allow our Sales Advisor to contact you, either by email, telephone or post. We do not sell data about your enquiry to third parties. To provide you with information about your enquiry/quotation/installation, it may be necessary for your contact details to be passed to affiliates or selected partners of Polar Bear Windows Ltd. It helps us to better understand your needs and provide an improved service. To provide you with a free no obligation quote. 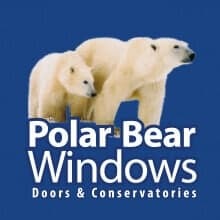 To enable us to prepare contracts for the sale of Polar Bear Windows Ltd goods and services. Register your installation with QANW (QA National Warranties) for the purposes of providing you with an Independent Insurance Backed Guarantee. Allow us to make specific arrangements for deliveries, installation; building works, electricians and scaffold apparatus as necessary (such works are additional to the goods and services provided by Polar Bear Windows Ltd). Your Personal Data may be shared with or stored on platforms provided by, third parties (persons or companies who are part of Polar Bear Windows Ltd) who help us provide goods and services. To register your installation with Certass, confirming your installation has been installed by an Approved Contractor. To enable us to identify existing customers and make arrangements for one of our service engineers to carry out inspection/works required (as per terms and conditions of contract and Guarantees provided by Polar Bear Windows Ltd). To facilitate our internal record keeping. Help us to improve our products and services. Enable us to send you information about relevant products, offers or other information that we think you may find interesting. How do we process card payments? We enter your card details into an independent debit/credit card processor. In line with current legislation, we will retain our Merchants copy of the receipt for your transaction for 10 years and then dispose of it confidentially. Polar Bear Windows Ltd will only retain your Personal Data for the time needed to provide the product / service you have requested. Polar Bear Windows Ltd disposes of all paperwork containing Personal Data using an Approved Waste Management Service. When the guarantee period expires, Personal Data such as your name, address, contact telephone number and order number remain on our Data Base to help us identify previous customers who contact us and require additional works not covered by Polar Bear Windows Ltd Guarantees. However, all Personal Data relating to your Contract, including cost and goods supplied is destroyed via confidential Waste Management Services. Right to withdraw consent if you have consented to the use of your Personal Data, you have the right to withdraw consent at any time. Right to access information and obtain rectification you have the right to access and review your Personal Data and have any errors corrected. Right to object to or limit processing you have the right to object to the processing of your Personal Data and to restrict or limit use or other uses. Should you wish to exercise this right, please contact us via email sales@pbwl.co.uk and we will remove the data within 14 working days. We operate CCTV in the following areas: rear car park / loading area / warehouse.